Android is the major smart phone operating system in the World. And this operating system becomes more compatible and stable for Smartphone devices so if you are looking to purchase new android device you need to think about which OS is more comfortable and competitive for you. The developer aims to make an easy mobile operating system by which using user can manage all function easily. Android is one of the most customized easy mobile OS options in the market. When you think about purchasing a smart phone, you can start comparison between various mobile devices such as Apple, Samsung, MI and Google’s own. And when you compare those phones individually the first think coming on mind will be operating system. Each part is important in the smart phone like battery, display, camera and processors but necessary thing is the Smartphone OS without this it will nothing. Currently every Smartphone company is trying to customize and build individual operating system for their phone but they have to take android supported OS. Their operating system looks different but it have powered by android. When you purchase smart phone and open out it from the box keep it turn on your phone. You can see something different from android because Smartphone companies make some changes and added their own supported apps by which user feels different from other handset. Different brands have different choices and they add own potential that user can feel something different and they also create different setup procedure from each other to make easier way for user. Users can easily setup their credential in phone. Let’s talk about important thing which make easy to get it setup in your account. Every smart phone manufacturer has something difference from other manufacturers. 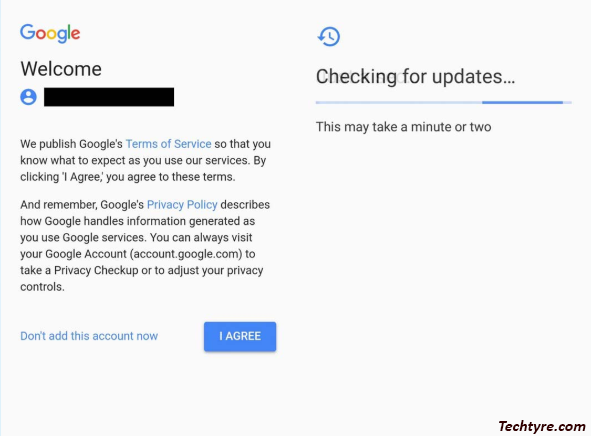 They add some own different step to easily verify their users and every android device use Google account. So first thing is to make sure about your phone that you want to use your existing account or not. 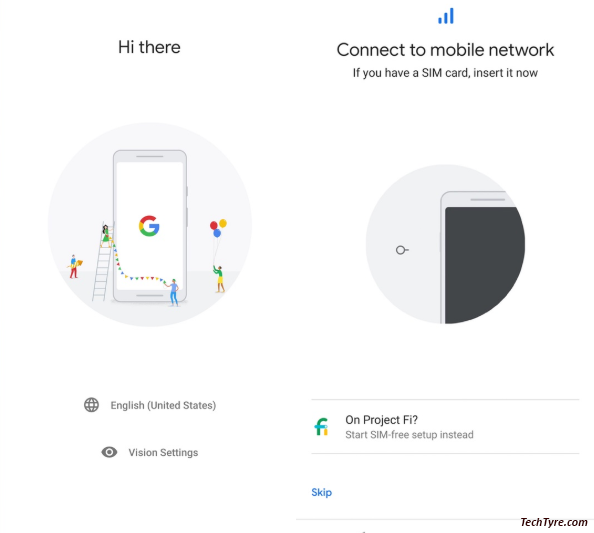 If not then you can create new G account through new device and if yes then you can sign in with your existing Google account on new device. Ensure you have to take back-up of your existing phone before signing. When you begin use of new phone from old phone you need to insert SIM Card. When you turn on your phone, the first thing will required is SIM card. Without SIM card your phone can’t work properly and often ask popup about SIM card of your front screen of the phone. So install your SIM card in your phone. Internet connectivity is the most important part of mobile phone because without internet your phone will not become smart. We are working on important things or streaming on mobile apps and our mobile data don’t give sufficient speed for internet. Mobile data doesn’t able to give stable speed for browsing. 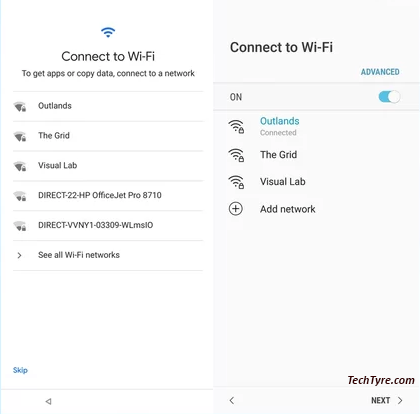 To fetch sufficient speed you have to use Wi-Fi network for Smartphone device, so choose any Wi-Fi connection network instead of mobile data and insert password of Wi-Fi. When you begin use of your new smart phone, you have to take back-up from your old Smartphone. There is an option to take back-up from account in your old phone. After backup your phone you have to sign out from your existing phone so, you can login in your new Smartphone device. Whenever sign in your account on new device, it will ask you for set up of your old data. 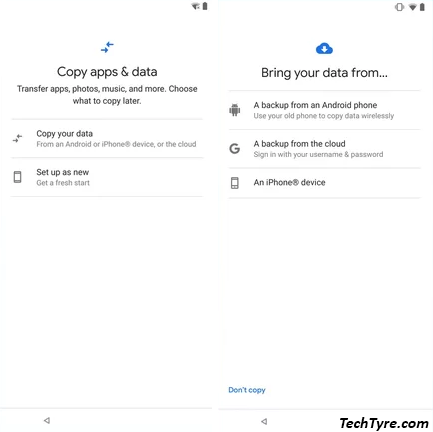 If you don’t want to import your existing backup you can create a new Google account. 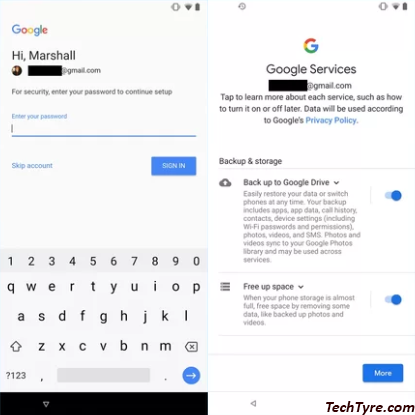 If you want to load backup in Google account then you just need to sign-in into new device. If you activate two-step authentication for sign-in then you have to verify your identity by verification Code. When you complete sign-in process, the phone will ask you to restore your data or information on new device. By confirming your choice the Google will restore all your information in the Smartphone. To protect your data from stranger you have to setup security options. 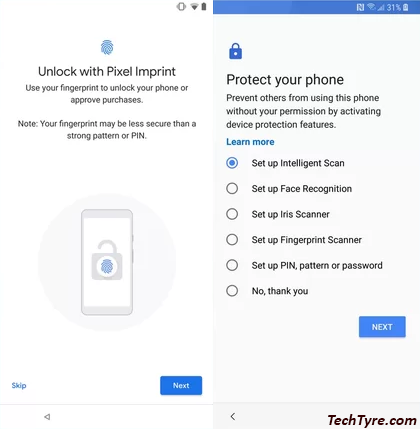 Many mobiles have own securities option like fingerprint sensor, face recognition but also include PIN, pattern and password option. To prevent your data from stranger you must have to setup high security measure because whenever you lost your phone someone can steal your information. 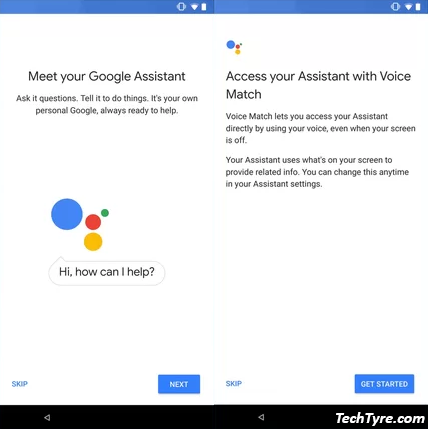 You can also activate additional service like Google assistance. Google assistance is working on your command. Google assistance based on artificial intelligent, if you ask something it will give you imminently answer according your command. You must need top 10 android mobile apps in your device.